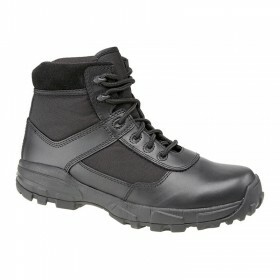 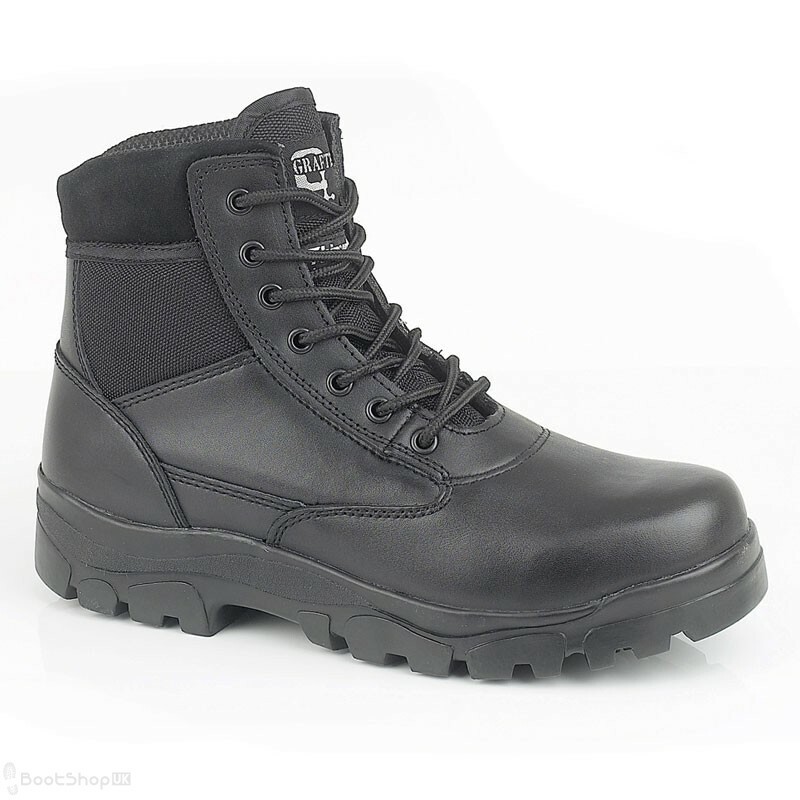 Lightweight action 6" leather/nylon boot. 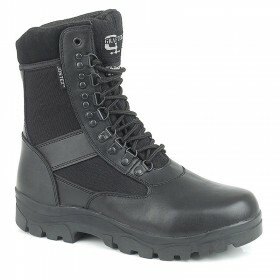 - Black Action Leather/Nylon Upper. 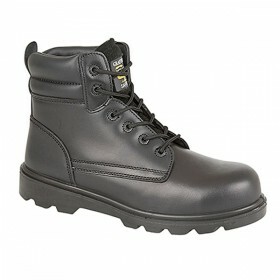 - Waterproof Nylon panels on each side to help the feet breath. 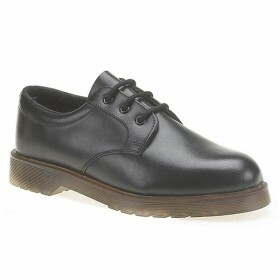 - Suede padded collar for extra comfort. 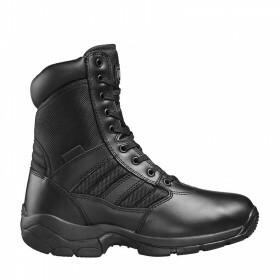 - Toe bumper and Heel Stabiliser.